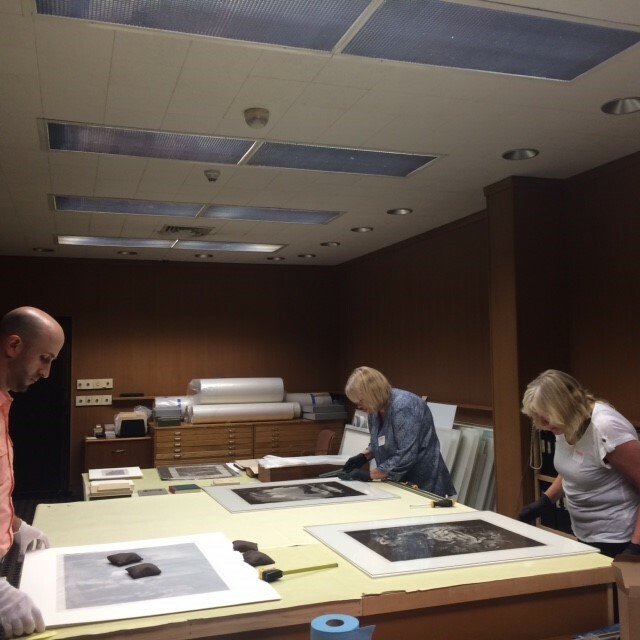 Our framing team hard at work. 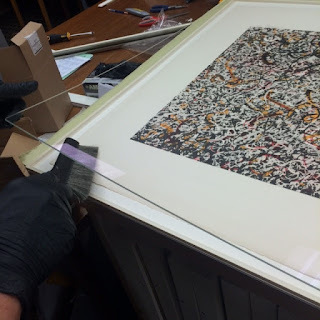 Last month, those of us at American Frame received an unbelievable honor — we were contacted by the Toledo Museum of Art to frame numerous original works on paper for a series of upcoming exhibitions. Imagine getting to work with one of the finest museums in the country as a trusted framer! As a longtime member of the Museum’s Business Council, we readily support the needs of this amazing institution and humbly took on the challenge. Imagine getting to work with one of the finest museums in the country as a trusted framer! As a longtime member of the Museum’s Business Council, we readily support the needs of this amazing institution and humbly took on the challenge. 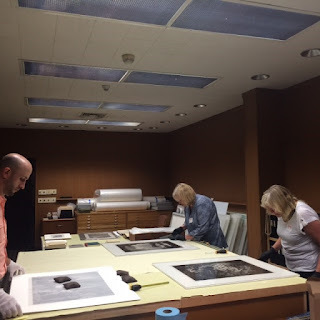 My team worked closely with Robin Reisenfeld, Ph.D., Curator, Works on Paper, about the art on paper being framed. 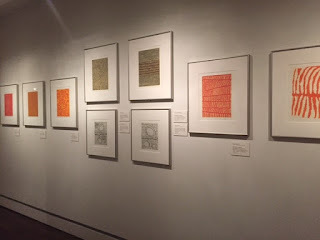 “During the next few weeks, we are mounting a number of different exhibitions and installations as part of our ongoing efforts to rotate works on paper on a regular basis. A new installation in the Wolfe Mezzanine, Moons, Tides and Earth, features eight internationally known contemporary artists who explore the natural phenomena of dust, moons, stars, and water through a cross-disciplinary approach. Alongside this exhibition in the same gallery will be a display of colorful etching prints of abstract designs by contemporary aboriginal Australian artists. Included also is an installation of late twentieth-century photographs and paintings that depict the human figure. Because of the nature of the artwork and its value, all the framing activities, from choosing the materials to designing the treatments as well as final assembly, had to be completed on premise at the museum. This policy is in place to ensure the safety of the work and to minimize risk of damage which can occur due to packing, transporting and handling. 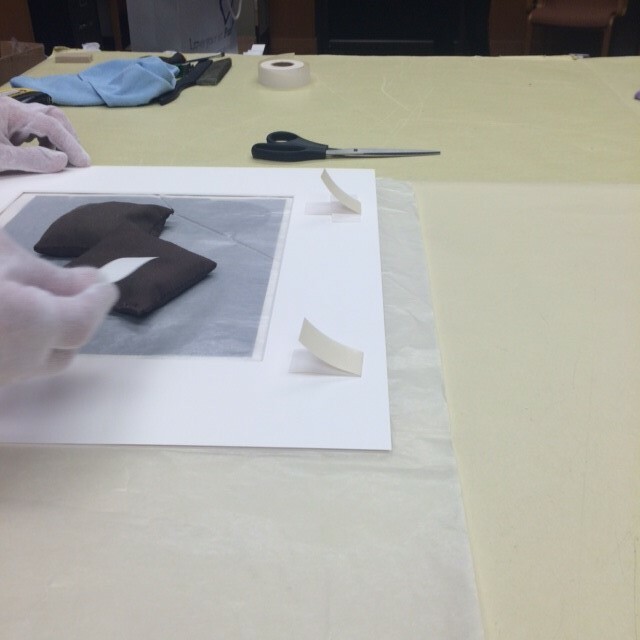 To protect the work, we used the highest-quality, conservation-grade materials and processes. It is important to use archival, acid-free material throughout, including the hinging, mats, frames and glazing, so as not to compromise the integrity of the work. For most of the framing we chose Nielsen metal frames in the German Silver finish. The German Silver finish is a favorite among our showroom team because of its warm undertones. It helps to soften black and white photography but also melds perfectly with vibrant colors in artwork. It also helps give a rich patina look to older works. We used this finish on our Radius Colorcast (RC14), Radius Plus (RP14), Standard Plus Three (SP314) and also our new Ridgeline (RL14) frame styles. For the pieces that were a bit more contemporary we chose the frosted silver finish with the Standard Plus Three (SP302) and Canvas (C02) frames, which has a cooler undertone. For the wood frames we chose a natural finish in the Infinity Collection (51401) and American Hardwoods (206) to not detract from the art. We utilized the Matte White (8464) and French White (8467) from our ArtCare Conservation Collection. These were chosen for their creamy off white color that easily complimented all the artwork, as well as their ArtCare technology that traps and neutralizes acids. Our goal is to not only protect and preserve the works of art but also to select materials that will enhance them while giving the exhibits a unified look. What an honor it was to be trusted with this challenge. 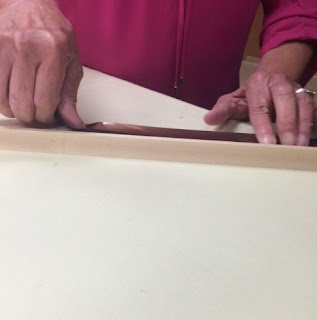 Since wood frames are not acid free we had to line the rabbet with frame sealing tape to prevent the migration of acids. 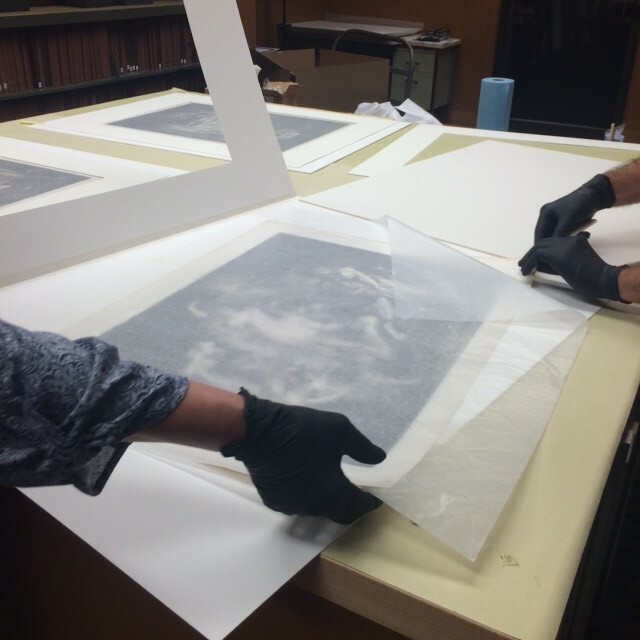 The artwork was attached to archival foam core using linen tape and a T-hinge. The mat is then hinged to the foam core also using linen tape. 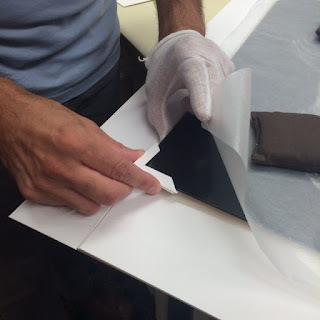 A few pieces are on loan to the museum from private collectors and could not be hinged. In these instances we had to custom make photo corners to mount the art in place. A static whisk is a great tool to remove dust and static from artwork, mats, and acrylic before framing. Final installation of Australian Aboriginal artists. All pieces framed in Radius Colorcast German Silver frame with Matte White mat board. And lastly, local businesses, please join us and become a member of the Business Council. We take great pride in what this museum does for our community. As a privately–funded museum, your donations carry a lot of weight. Have you been to the Toledo Museum of Art to see these incredible exhibits? Share a photo of your favorite installation or framed piece with the hashtag #FramingHappiness! What an incredible honor! Not only to frame such amazing prints but to have a local, yet nationally known museum, work with American Frame is just great!